On 29 December 2017, the Directorate-General for Armaments (DGA) awarded a study contract aimed at preparing the future robot capabilities of army combat units to a consortium consisting of Safran Electronics & Defense and the SME Effidence. As part of the “Furious” study, robots of different sizes, including the eRider demonstrator developed by Safran in partnership with Effidence, will be tested for area reconnaissance and equipment transport missions. This study is called Furious from the French description of its goal: Futurs Systèmes Robotiques Innovants en tant Qu’outils Au Profit du Combattant Embarqué et Débarqué, or future innovative robot systems to assist embarked and disembarked combat soldiers. The aim is to test three demonstrators of different sizes in an infantry section, as early as 2019, at the Urban Action Training Center (CENZUB) located in Sissonne (Aisne). 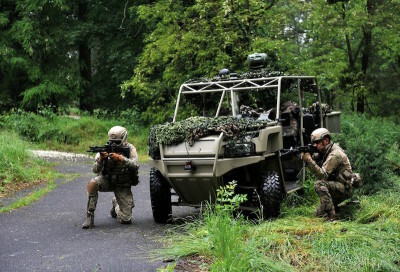 Under the guidance of the DGA's Land Armament Operations Management Unit, the tests will be conducted by the robotics experts at DGA Techniques Terres de Bourges, in central France, with the support of the Army’s Technical Department (STAT). The missions assigned to ground robots will include, in particular, area reconnaissance, exploration of buildings, and the transport of soldier equipment. The study will focus on innovative capabilities such as self-reliance by avoiding obstacles in all types of environments. Furious will make it possible to identify the technological choices necessary in the field of ground robotics. It is also a matter of maturing the technologies used. Finally, the accumulated experience will allow to begin to define a doctrine of use of robots for the benefit of the land forces. The DGA, thanks to such science & technology projects, encourages and directs industrial contractors towards research areas and the use of the technologies resulting in particular from innovations developed by SMEs and start-ups. For the implementation of this contract, Safran Electronics & Defense and Effidence will rely on a dozen SMEs and French robotics laboratories, including the Research Center of the Saint-Cyr Coëtquidan Military Colleges (CREC). BOULOGNE BILLANCOURT, France --- Safran Electronics & Defense has won the contract for a major French defense procurement agency DGA (Direction Générale de l'Armement) Science & Technology project, Furious. 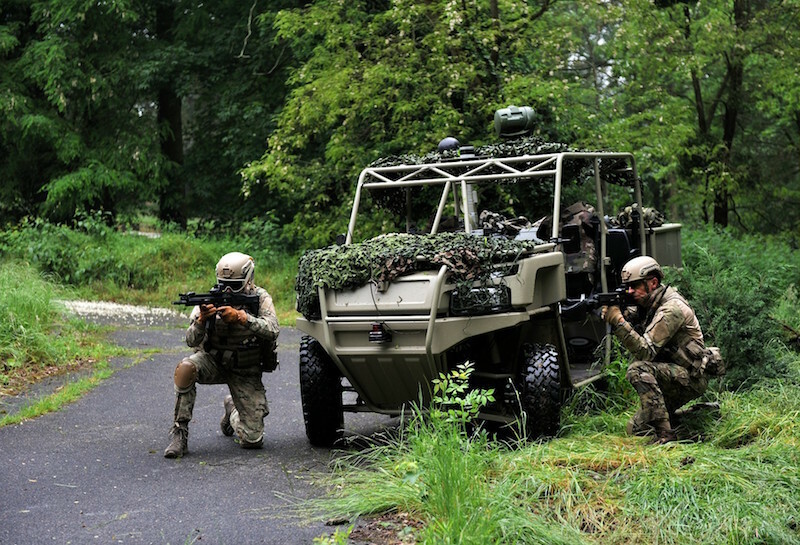 Covering a period of five years, this project is designed to lay the groundwork for the integration of land robots in French armed forces, as part of the Scorpion modernization program. Safran will call on support from academia as well as the agility of small and medium-size enterprises (SME), to fulfill this contract, reflecting the DGA's policy of encouraging innovative partnerships between prime contractors, research organizations, SMEs and startups. Given the tight deadline (18 months for the first phase of the project), Safran Electronics & Defense is building on its experience with the Patroller Cluster and is teaming up with highly motivated and agile SMEs, namely Effidence, Technical Studio, Sominex, Kompai and 4D Virtualiz. Safran also initiated a collaboration with France's leading robotics labs, including the CNRS (national center for scientific research), Pascal Institute, IRSTEA, Mines de Paris engineering school and LORIA. Another program participant is the "augmented soldier" chair, set up in the laboratory of the Ecole Spéciale Militaire de Saint-Cyr Coëtquidan in 2017.